2017 featured some great superhero films. The latest to come to TDS TV on Demand is Marvel’s “Thor: Ragnarok,” one of the most fun blockbusters in a long time. DC’s “Justice League”—also available this month—might not be in the same league as “Thor,” but followers of the franchise will want to check it out. Fans of film-making will love the cult movie about a cult movie—the wickedly funny “The Disaster Artist.” Finally, if you’re looking for something for the kids, “Ferdinand” is a sweet take on the classic kid’s story about bull who would rather smell flowers than participate in a bullfight. Available March 6. Rated PG-13. It’s time for yet another superhero film and thankfully, “Thor: Ragnarok” is one of the best to make it to the big screen. In this third go-around for the Norse god of thunder and lightning, Thor finds himself trapped on the other side of the universe fighting to prevent Ragnarok—the end of the world. 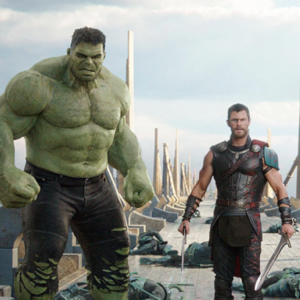 If that sounds heavy, don’t despair because “Thor: Ragnarok” is one of most fun superhero films of all time. The action is here with grandiose special effects and epic battles but the movie sports an irresistible goofy streak rarely found in the Marvel or DC worlds. Kudos to Chris Hemsworth for his inspired comic performance, as well as Kate Blanchett as the film’s villain—Hela, the goddess of death. Available March 6. Rated R.
Based on a true story, this is a dark, twistedly funny tale about the making of a movie, “The Room,”a flick so bad it has attained cult status. “The Disaster Artist” follows the lives of the film’s creator—the very weird Tommy Wiseau (brilliantly played by James Franco)—and his friend, an aspiring actor, Greg Sestero. The circumstances surrounding “The Room” are so bizarre, you might question if it really happened (and it did). “The Disaster Artist” is a rare biopic that brings together a balance of laughs, pathos and incredulity. Fans of film-making will especially devour the bizarre inside look at the making of this now-legendary film and its mysterious creator. Available March 13. Rated PG. Enjoyable animated tale loosely based on the classic children’s book. Ferdinand is a sensitive giant bull mistaken for a dangerous beast and taken from his home. Now he must escape and return to the family that loves him. While a bit banal, “Ferdinand” succeeds with its sincere and charming nature as well its positive message. The voice talent includes John Cena an Kate McKinnon. Available March 13. Rated R.
Based on unbelievably true events, “I, Tonya” is a dark comedic story of American figure skater Tonya Harding. The film embraces the surreal nature of the story playing things more for laughs than drama (but not forsaking the latter). “I Tonya” really works due to the leads, particularly Margot Robbie as Harding and Allison Janney as her caustic, domineering mother. Janney recently won an Academy Award for her performance. Some viewers may find it hard to click with the film’s (often pathetic) characters, but this absurd story will keep you laughing and shaking your head in disbelief from beginning to end. Available March 13. Rated PG-13. Batman and Wonder Woman must form a team of superheroes (including Aquaman, Cyborg and the Flash) to meet an ancient force that could destroy the world. “Justice League” is a bit muddled and lacks some character development, but the film manages to keep things moving and features some good action and witty dialogue. The cast is fine—in particularly Gal Gadot as Wonder Woman and Jason Momoa as Aquaman. Check out all the movies available on TDS TV Movies on Demand. Based in Colorado, but from Madison, Wisconsin, Matt likes to blog about travel, auto, gadgets, food and entrainment. Follow author Matt Breen on Google + or read his recent stories on Pursuitist. Stay connected with TDS Home for the latest news. What does your favorite Game of Thrones character say about you? 2017 Movies and the Oscars! Learn more about how TDS can keep you connected in the home with Internet, TV, TDS Fiber, DVR and phone services and solutions. TDS Telecom. is the 7th largest telecom provider in the U.S., and our parent company is Telephone and Data Systems Inc. Of course, we have a few cool sister companies too, like U.S. Cellular and OneNeck® IT Solutions. Bottom-line: At TDS it’s our job to connect people at home and at work. We connect people nationwide, in rural communities and metro areas alike. We connect people running big businesses, start-ups, and even at- home teleworkers with Internet, phone, data, and TV services. Copyright © 2019, TDS Telecommunications Corporation, All Rights Reserved. Kris Prusynski on What does your favorite Game of Thrones character say about you? Where is my Wi-Fi password and SSID?